A high pressure ridge is staving off the clouds leading to clear, cold nights. 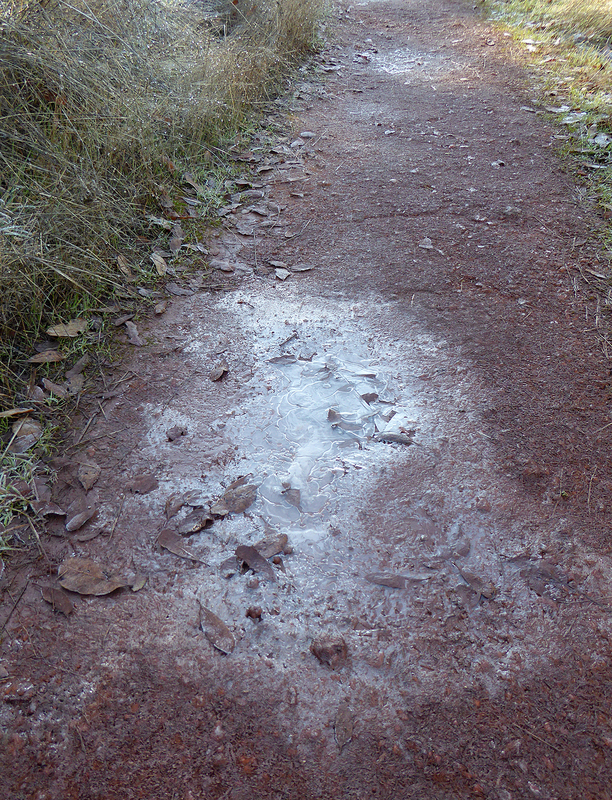 Recently overnight temperatures have dipped into the 20s, which leads to our damp trails turning icy. This can of course mean danger to those not paying attention or moving too fast. Runners in particular need to be cautious where the trail is icy or muddy. Or, if you want to avoid the ice altogether walk in the afternoon, after the warmer daytime temperatures (typically in the 40s-50s) have a chance to melt the ice. You will still have mud to contend with, but it is generally less slick than ice. Bottom line: stay safe out there while enjoying all the great things our trails have to offer.